AAE Amsterdam is the best Value for $20 offering Free Breakfast, private ensuite rooms and dorm beds, free wifi and much more! If you are looking for a complete private selection with all the same amenities, then please be sure to look at our AAE Mithila Hotel under the hotels section. 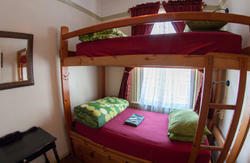 Welcome to the AAE Amsterdam Hostel! 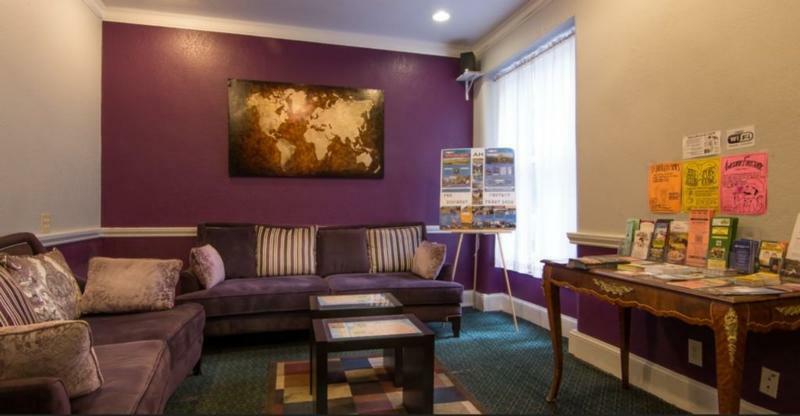 This beautiful hostel is located just three blocks off Union Square, San Francisco's center location and home to great shopping, the best restaurants and bars and many of the city's best sights! Seconds from the famous Cable Cars, Theatre District and Chinatown - Amsterdam Hostel San Francisco is right where you want to be! To add more value to our great location and low prices, we have abundant common space great for meeting other travelers or for large groups and small private gatherings! Eat breakfast (FREE Pancakes) or any meal you make in the huge common kitchen and then dine indoor or outside on our great Terrace. 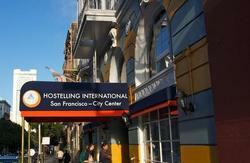 AAE Amsterdam Hostel is one of 48 Worldwide AAE Hotels International Franchise Members with 3 locations in San Francisco. Discount coupons available on our aae site. Great rooms - Ensuite baths in every room, including dorms, means you having a private shower with hot water anytime you want, no waiting. Comfortable mattresses and new and sturdy bunks ensure a peaceful sleep with no squeaks!. 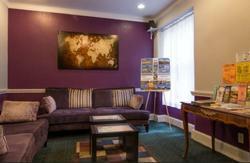 These amenities are available at no other hostel for these prices! Join us today to make your trip to San Francisco a memorable one! PLEASE NOTE - You must have an international passport or a current student ID for dorm bed/private room occupancy with a travel itenary. Only current International travelers will be allowed to occupy dorm rooms. Taxes are not included. **Please note , all applicable taxes arent included. Exit from Greyhound terminal onto Mission Street, turn left and walk towards First Street. Turn right onto First Street and walk one block to Market Street. Cross to other side of Market St. and turn left. Sutter Street will be on your right less than one block down, turn right onto Sutter (there's a See's Candy store on the corner). Walk about 10 blocks on Sutter Street. If you are going to 749 Taylor Street, turn right onto Taylor and hostel will be on left hand side. From either Oakland Airport or San Francisco International Airport, take the BART train to the Powell Street station. The BART station is located in the interntaional terminal at San Francisco International Airport. From Oakland Airport you will need to take the AirBART bus ($2) to the Colesium BART station. Take BART train to Powell Street Station ($3.35 from Oakland Colesium station, $5.15 from San Francisco Airport). Exit Powell station at Cable Car turnaround, follow directions above from Amtrak. From highway 5 North: Take highway 580 W to highway 80 W. Take 80 W over Bay Bridge ($3) to 5th St. exit. Stay left on exit ramp, stay in lanes for Harrison St. (Slight left from exit ramp.) Go one block on Harrison, turn right onto 6th St. Follow 6th across Market Street. Street will curve to left and will become Taylor St. If you are going to 749 Taylor Street, hostel will be on your left, after Sutter St. If you are going to Mithila at 972 Sutter St., turn left onto Sutter and Mithila will be 3 blocks on the right hand side.